I've been studying the conference talks from October, looking for the blessings of the Atonement of Jesus Christ, that His apostles and witnesses mentioned. I got overwhelmed when I got to Elder Gonzalez's talk, because there were so many blessings he talked about, that I couldn't keep up! I think this paragraph will blow you away too, if you try to think about and write down every blessing of the Atonement that he talks about or infers. "By coming unto Christ, every soul can see, feel, and know of a surety that Christ suffered and atoned for our sins that we may have eternal life. If we repent, we will not suffer needlessly. Thanks to Him, wounded souls may be healed and broken hearts may be mended. There is no burden that He cannot ease or remove. He knows about our infirmities and sicknesses. I promise and testify to you that when all doors seem to be closed, when everything else seems to fail, He will not fail you. Christ will help and is the way out, whether the struggle is with an addiction, depression, or something else. He knows 'how to succor his people.' Marriages and families that are struggling for whatever reason—economic challenges, bad media influences, or family dynamics—will feel a calming influence from heaven. It is comforting to 'feel and see' that He rose from the dead 'with healing in his wings,' that because of Him, we will meet and embrace again those beloved ones who have passed away. Verily our conversion unto Him is rewarded with our healing. I know of a surety that all of this is true. For this reason I join my voice with that of the early inhabitants of ancient America, exclaiming: 'Hosanna! Blessed be the name of the Most High God!' He gives us salvation. I bear witness that Jesus is the Christ, the holy Messiah. He is the Lord of Hosts, our Savior and Redeemer." What a happy month I've had, as I've focused on remembering Jesus Christ. His desire is to help and heal. What better Friend could anyone ask for? "Remembering God helps us to feel and live." I just overheard an awesome conversation in the Institute building. I heard at least two guys talking in the hallway, but I couldn't see them. One was talking about his "coming back" and the changes he had been making in his life. He had gotten really excited about changing his life for the better, and things had worked out really well for the first couple weeks as he made good changes, but then in the last few weeks, it was getting a little harder. More hurdles to clear and such. But what I loved about this conversation was hearing how authentic these guys were, especially the one going through the changes. He freely admitted that sometimes he doubts that there's even a God listening when he's praying, or doubts that the things he does right actually help anything. But then he also remembered the evidences he had seen. He didn't get worked up about things as he was saying this, and he wasn't worried about the reactions of the others. And the other guys didn't pounce on him and insist he have faith or anything, they just listened and reacted naturally, reminding him of some examples from scriptures, and talking about some of their own experiences in "coming back" or gaining faith. I guess it's hard to explain. You'd have to hear it. But what I loved was the authenticity, the real-ness, the open honesty and lack of fear in their communications. (This is apparently a big deal for me, as I examine some recent themes in my life.) They were secure, not fearful or desperate. Their actions and words did not spring out of any sort of anxiety. They were just telling the truth and being real. I want to be like that, and be around people like that. There is something so amazing about authenticity. This song is my obsession of the day. You know one thing I really like about it? It's a love song that is not selfish. Instead of "I can't live without you. Please don't leave me," it's "You're awesome!!!!!!" It's a secure, non-selfish, non-desperate love song. I like that. I like that a lot. "Brothers and sisters, no matter our circumstances, no matter our challenges or trials, there is something in each day to embrace and cherish. There is something in each day that can bring gratitude and joy if only we will see and appreciate it. Today it wasn't hard to see. I felt the Spirit so strongly in Sunday School as people participated in the lesson that Ryan L. and I were trying to facilitate. There is so much power that comes from testifying of Jesus Christ. There was a very special feeling in the room. And it was easy for me to testify this time around, because the experiences I was testifying of were recent and powerful. Thank you for speaking about the youth doing family history in your October 2011 conference address. 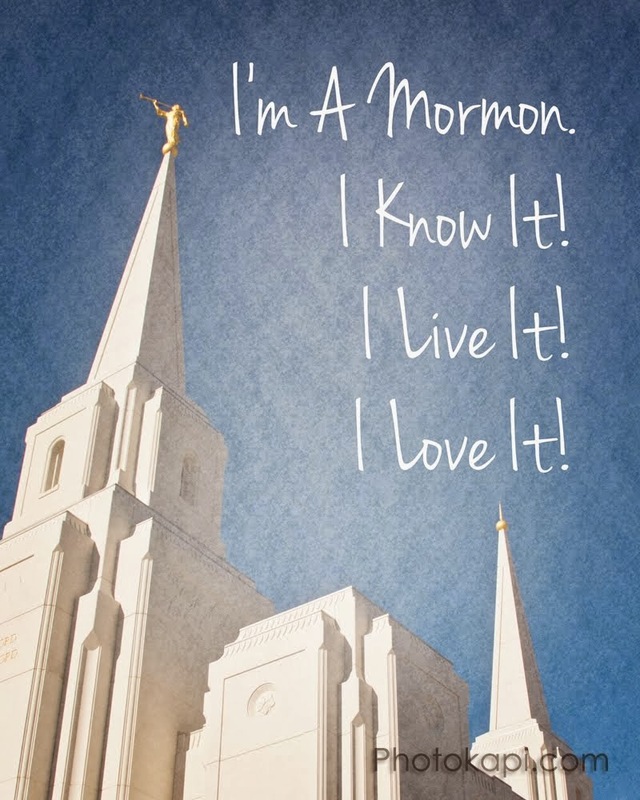 It has changed the last 18 months of my life, and impacted the rest of my life here on out. Now that I've learned how to research my kindred dead, I've been able to teach and encourage others, and many people have started on their own research journeys. Thanks for getting me going, so I could help get them going. Thank you for offering me free registration to RootsTech 2012 as part of the indexing competition. Because of your generosity, I was given the tools to make me a valuable volunteer at the local FamilySearch Library. 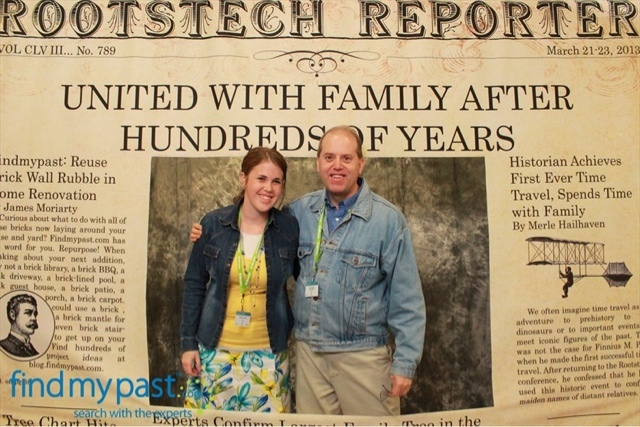 You enabled my dad to come to RootsTech as well, and now, yesterday, he made the decision to start actually researching his family history. This is an answered prayer for me. Definitely an "ordinary miracle." Thanks for coming to RootsTech, being a friend this week, and letting me show you how to begin your research. Thanks for making this week awesome.